Come support two great cultural families: Local Artists AND Public Radio!! I will have Monster Teapots Galore. I am pleased to be bringing New multimedia adventures in mosaic as well. 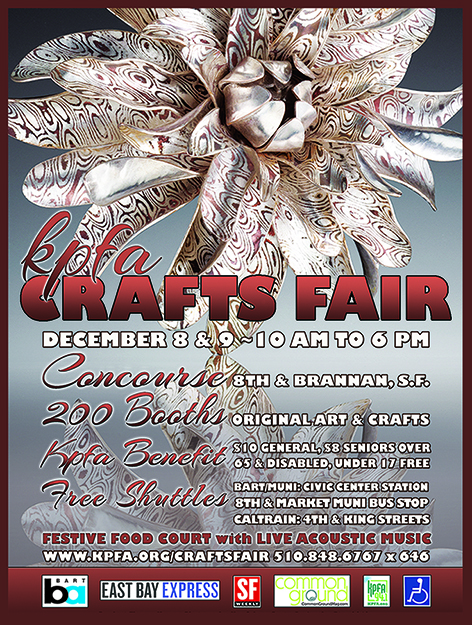 I am having a great time at the KPFA holiday art fair and benefit. Relaxing after a fantastic day. 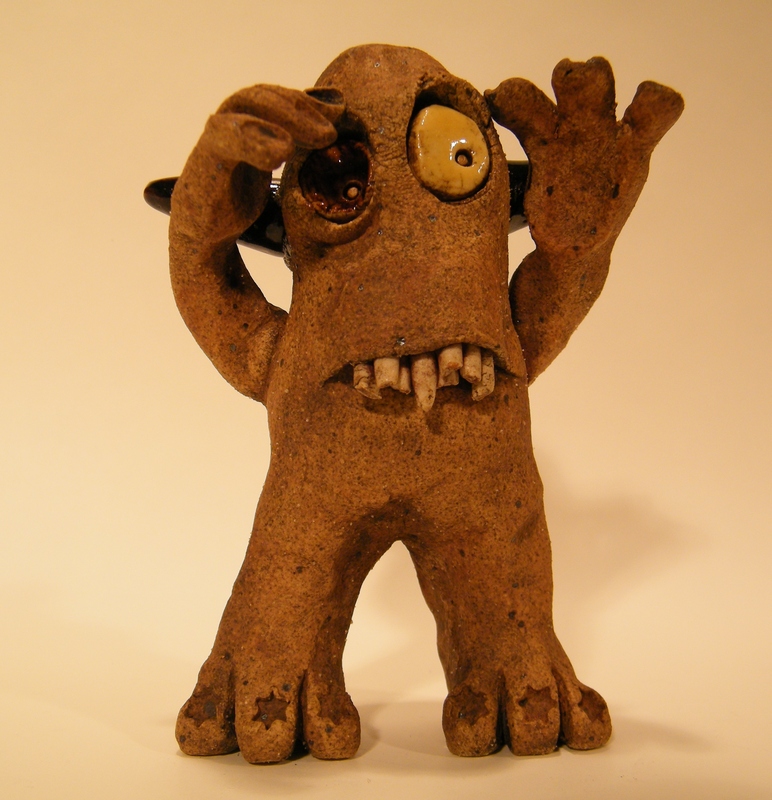 Its is a BIG HAPPINESS for me to experience people enjoying my monsters after a long work period in the studio. Here are a couple of the cappuccino style monster mugs emerging from the kiln. There are also taller style mugs. All glazes at my studio are lead free. The glazes on functional ware are especially chosen for their durability and are dishwasher safe.